Are you in high school? Ever wanted to launch something on a weather balloon? (Little brothers are not acceptable payloads...) Then lucky you! NASA is hosting it's second annual Balloonsat High Altitude Flight contest. The space agency is inviting students in the 9th through 12th grades to create experiments to be tested at high altitudes on the verge of space -- up to 100,000 feet. Experiments can test anything, like a cell phone's range to plant growth in the stratosphere. My favorite idea: Put a roll of ultra-sensitive film (like ISO 1600, 3200 or 6400) in a light-proof container and send it up in the balloon. See if the film will capture gamma rays (and possibly X-Rays) hitting it. Since cosmic gamma rays are blocked by Earth's atmosphere, they're not as often seen at Earth's surface. At altitude, however, there should be enough to be captured on the roll of film as little points of light. Q. What would happen to a travel-sized aerosol can of hair spray? How high can it go before it explodes? (Something tells me NASA wouldn't go for this. But I think it would be awesome!) This could be important since not all cargo holds on airplanes are pressurized and a can of hairspray in a suitcase could explode. Q. How high do you have to go before the vacuum causes water to boil? What if the whole world had the same air pressure as that altitude? Our lakes and rivers would be boiling all the time, except they'd still be cool enough to swim in! Q. Could you chill a can of soda from room temperature by sending it up in a weather balloon, or would the can explode? Q. If you dropped a model helicopter from the balloon at high altitude, would it glide? How far could it glide horizontally? Experiment proposals are due by Feb. 11, so get cracking. NASA will pick the top four proposals and give those teams $1,000 each to develop their experiment. Then, they'll fly the team members down to the Glenn Research Center in Cleveland, Ohio for three days in May. The teams will get to tour the center and watch their experiments be carried aloft by weather balloons. Four more teams will receive $1,000 to develop their ideas. Those teams will then get to watch over the Internet as engineers at NASA launch their payloads for them. The NASA announcement says that the competition is to help attract and keep students in the fields of science, technology, engineering and mathematics, fields it says are "critical to the agency's future programs and missions." I, personally, just think it would be cool to launch something in my own weather balloon! I make it no secret that my alma mater and former employer is the University of Arizona (UA). I spent many years there amongst the strange attractors in the Physics and other science and engineering departments, soaking up as much fascinating why-the-world-works-the-way-it-does knowledge as possible. I still have quite an affinity for the Wildcats who roam the halls of the Physics and Atmospheric Science Building, mostly with their heads down as they contemplate problems associated with GUTs, AGN, ATLAS, and many other acronyms. For some, I always wondered why they didn’t bump into walls, given that their eyes were always transfixed to the floor instead of objects ahead. This week I learned that a team of UA physicists had published interesting revelations relating to another acronym, VDW, aka the van-der-Waals force. The scholars discovered a novel method to calculate how individual atoms interact with various surfaces, which is dictated by this fabulous force. The paper is published in Phys Rev Letters, and the accompanying data could provide a new baseline for theorists to test their ideas about how atoms cooperate, and allow scientists and engineers to more successfully develop nanostructures. 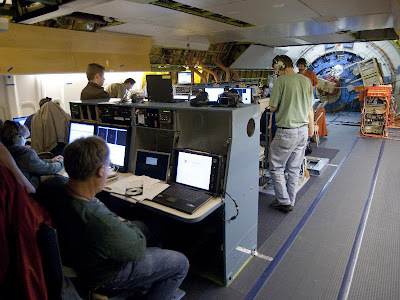 The group, consisting of associate professor Alex Cronin, Will Holmgren, and Cathy Klauss, and lead by Vincent Lonij, a graduate student, wanted to better understand how this extremely weak force works. The van-der-Waals force can make “anything stick to anything, provided the two are extremely close to each other,” according to the UA press release written by Daniel Stolte. It is a fundamental force in many areas of science, such as chemistry, physics and biology, but because it is so weak, it is very difficult to analyze. We shoot a beam of atoms through a grating, sort of like a micro-scale picket fence," Lonij explained. "As the atoms pass through the grating, they interact with the surface of the grating bars, and we can measure that interaction. "As the atoms pass through the slits in the grating, the van-der-Waals force attracts them to the bars separating the slits. Depending on how strong the interaction, it changes the atom's trajectory, just like a beam of light is bent when it passes through water or a prism.A wave passing through the middle of the slit does so relatively unencumbered. On the other hand, if an atom wave passes close by the slit's edges, it interacts with the surface and skips a bit ahead, "out of phase," as physicists say. "After the atoms pass through the grating, we detect how much the waves are out of phase, which tells us how strong the van-der-Waals potential was when the atoms interacted with the surface." This is all well and good, but “the most significant discovery was that an atom's inner electrons, orbiting the nucleus at a closer range than the atom's outer electrons, influence the way the atom interacts with the surface,” wrote Stolte. "We show that these core electrons contribute to the atom-surface potential," said Lonij, "which was only known in theory until now. This is the first experimental demonstration that core electrons affect atom-surface potentials. ""But what is perhaps more important," he added, "is that you can also turn it around. We now know that the core electrons affect atom-surface potentials. We also know that these core electrons are hard to calculate in atomic theory. 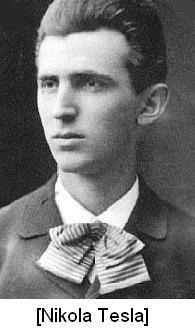 So we can use measurements of atom-surface potentials to make the theory better: The theory of the atom." So to sum up: we can now construct better nanobots, understand what the heck is going on at surfaces with individual atoms, created a baseline for physicists to investigate their theories, and developed an awareness that the electrons influence the behavior of movement at these surfaces. Go Wildcats! Next year is the 75th anniversary of the Golden Gate Bridge. So it was fitting that while in San Francisco this week I took a look at this modern marvel, but more importantly, learned a little about the physics associated with keeping it intact. My guide was Paul Doherty, Senior Scientist at the Exploratorium in San Francisco. I recently wrote about Paul and his museum-working comrades for APS News, so it was an especially sweet coup to not only visit him in his native habitat, but also get a behind-the-scenes tour of one of the most famous science museums in the world. 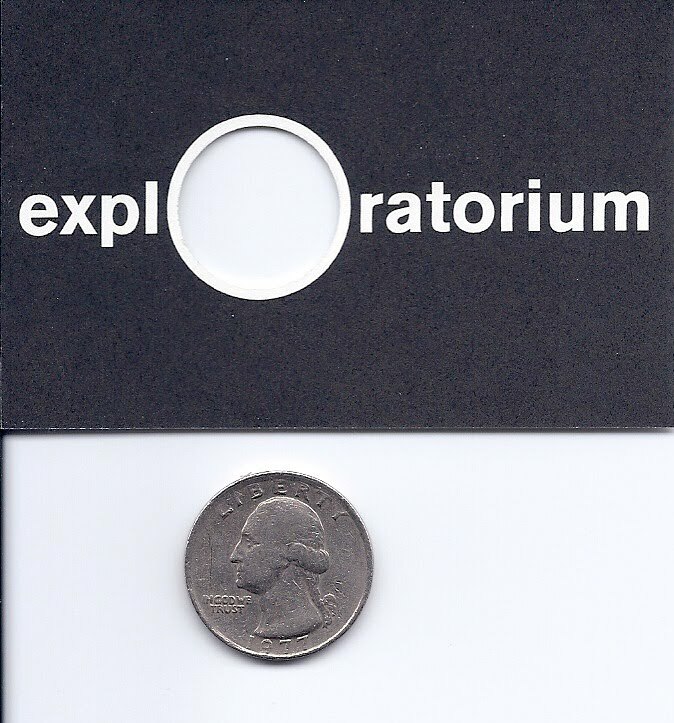 The Exploratorium is located a stone’s throw from the bridge and its staff have developed a number of very interesting exhibits relating to its dynamics over the years. I learned that they have a telescope at Fort Mason, which is about 2 miles east of the museum, which is pointed at the center of the Bridge. The telescope allows one to see the height of the center of the Bridge as a function of temperature. As the temperature decreases, you can actually see the Bridge contract and lift up. Paul told me that generally this amounts to + or – 10 feet over a year, although during a day it might only be a few centimeters. Another team of Exploratoriumers is building a GPS system to be installed on the Bridge, which will monitor its height due to weather (wind, etc.). The contraption, seen below, will provide a 3D position of the Bridge at anytime. So when the wind starts pushing and the vehicles start depressing the structure, you’ll be able to know how much the Bridge has moved, within 5 mm accuracy -- you’ll have the actual global position. This prototype was just assembled this week, so I guess I got the scoop for PhysicsBuzz readers. The scientists and exhibit builders at the Exploratorium spent the week testing it, and after it is installed, Paul suggests that a next phase might be the creation of a mobile app, so your phone call tell you the location and orientation of the Bridge from anywhere in the world. Paul and his colleague Dave Fleming, a mechanical engineer who’s been with the Exploratorium for 25 years, took me to the area of the museum where they design and construct the exhibits. Currently, most of the museum’s staff work in a series of old Barracks just off Crissy Field at the northern edge of San Fran, right along the bay, These barracks were used by the Presidio, and parts of them were also used to store bodies of soldiers returned from Vietnam. In fact according to Paul, “The Cooler”, where these corpses were placed, is now used to conduct sound-based experiments by the museum staff, on account of the thick walls. 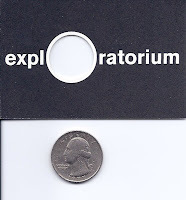 This quite possibly could be the best business card I have ever seen, because it is not just a cleverly designed graphic, it’s a puzzle: although the diameter of this circle on the card is smaller than that of a quarter, there is a way to get the quarter through the hole. It’s an enigma, get it? Can you figure it out? 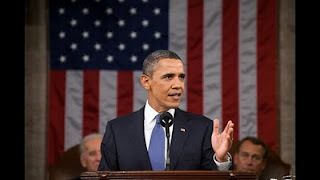 During last night's State of the Union Address, science and science education got a shout out. Actually, they got a lot of shout outs, some pretty big ones too. The President said that "The first step in winning the future is encouraging American innovation," and "[w]e need to teach our kids that it’s not just the winner of the Super Bowl who deserves to be celebrated, but the winner of the science fair." A lot of the first part of his speech, President Obama extolled the importance that science and research has on society and the economy. He called for more science funding and to "prepare 100,000 new teachers in the fields of science and technology and engineering and math." Scientific discoveries lead to new technologies which spur new industries and jobs. Unfortunately there's kind of a catch, it's hard to tell ahead of time what discoveries and technologies will change the world. To paraphrase Niels Bohr, predictions are hard, especially about the future. As President Obama said last night during "None of us can predict with certainty what the next big industry will be or where the new jobs will come from. Thirty years ago, we couldn’t know that something called the Internet would lead to an economic revolution... But because it’s not always profitable for companies to invest in basic research, throughout our history, our government has provided cutting-edge scientists and inventors with the support that they need." He went on to highlight examples like computer chips and GPS systems that are integral to modern society which evolved out of basic research. Another great example is the laser. LaserFest told the same story about how in 50 years, the laser went from "a solution looking for a problem" to integral to modern society. When Ted Maiman built the first working laser in 1960, it was seen as nifty novelty, but not too much more. Researchers would build more powerful and different kinds of lasers to outdo each other in a sort of friendly arms race, but it wasn't immediately what kind of impact that the laser would have on the world. Then in the mid 1970s things started to change. Ideas that had been shown to work in a lab like fiber optic communications and laser eye surgery started becoming commercially available. Other laser applications like bar code scanners, laserdisc readers and laser cutters also began making their debuts in the late '70s and early '80s. Today information technology has been completely revolutionized as lasers and fiber optics form the backbone of the internet while CDs, DVDs and Blu-Ray discs are all recorded and read using lasers. Lasers are used extensively in manufacturing to cut metal and in medicine during delicate surgeries. Even cat toys use laser pointers. It's almost mind boggling how ubiquitous they are to the modern economy. It's hard to come up with a precise figure, but lasers contribute hundreds of billions of dollars to the economy either directly or indirectly every year. Inventions like the laser highlight the importance of basic scientific research and its impact on the economy. Special guests in First Lady Obama’s Viewing Box included Mikayla Nelson from Central Catholic High School in Billings Montana, Diego Vasquez from South Mountain Community College in Phoenix Arizona, Amy Chyao a high school student from Richardson Texas and Brandon Ford from West Philadelphia high School. All of them have either conducted research or worked on a technological development in hopes of bettering society. 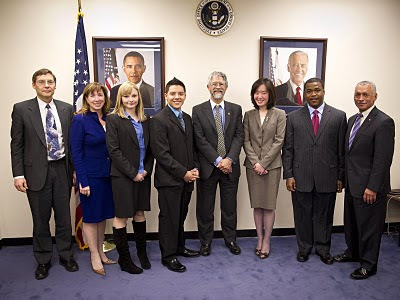 Here they pose with Carl Wieman the White House Office of Science and Technology Policy Associate Director for Science, Lori Garver NASA’s Deputy Administrator, John Holdren, Director of the White House Office of Science and Technology Policy and NASA Administrator Charles Bolden. Lenses, lasers and mirrors. Everyone knows that these everyday items form the basis of one of the most interesting and complicated “scingineering” arenas of modern times: Photonics. Photonics is the science and technology of photons, so pretty much every modern day electronic device has some photonic innovation associated with it. At Photonics West this week in San Francisco, possibly the largest conference devoted to this subject, I “discovered” that there is much more to photonics than lasers and mirrors. There’s holography. There’s biomedical sensors. And there’s hot guys. Hot guys? At a physics conference? Heck yeah! Loads of them. So as I turned around and saw that I was surrounded by super hot guys, I realized for the first time why physics and optics and photonics are such wicked sweet fields. But meanwhile, I was also interested in the technology. So, tearing my eyes away from the parade of sizzling scientists, the gent from Belgium told me about how his cameras can be used in fabrication facilities and plants to analyze the heat index of particular products, for example, chips, coming down a line. One could monitor the thermal images manually, or save the images and run them through software programs which contain alarm systems, so if a chip got too hot, it could be pulled from production. While the physics of infrared cameras has not changed much recently, the engineering has gotten better, according the Xenics rep. New IR cameras are more accurate, and their temperature resolution has improved. For example, the lowest temperatures the cameras can detect are just below 20 milliKelvin. The cameras also have the ability to provide real time data about the temperature readings they are taking. Given their accuracy and precision, you might consider shelling out $60k for one of these cameras to illuminate all the hot guys and dolls that attend your next conference or scientific event. An obligatory note about SPIE – for all you enthusiasts out there, the correct way to pronounce this optics society’s name is to spell out the letters S.P.I.E. It’s not “Spee” and it’s not “Spy”, although the guy who answered the phone at the housing bureau for the conference did refer to it as Spy. The question that arises now, is whether that same guy is handling housing for the APS March Meeting. If so, I expect there will a lot of discussion about “apps” at the Double M. Good thing there’s already an app for spying hot guys in photonics. So on Friday NASA announced that they're holding a press conference on Wednesday January 26th about…something. As with most press conference announcements NASA's keeping the details pretty closely guarded. 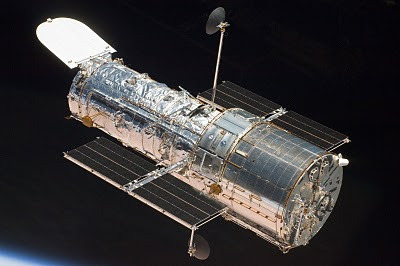 The hints they’ve dropped are that it's a discovery by the Hubble Space Telescope and that "[a]stronomers have pushed the Hubble Space Telescope to its limits and have seen further back in time than ever before." Beyond that, it’s a mystery for now. So, in true journalistic from, I will now engage in wild and unfounded speculation as to what could possibly be announced on Wednesday, complete with the odds they're taking in Vegas. 1 in 3: Just what the announcement said, that the Hubble has looked farther back into the past than ever before. Light travels fast, but it still takes time to travel from its source to an observer. Space is so big that it can take a long time, an estimated 100,000 years to travel from one side of our galaxy to the other. So the farther away you look the farther back in time you see. 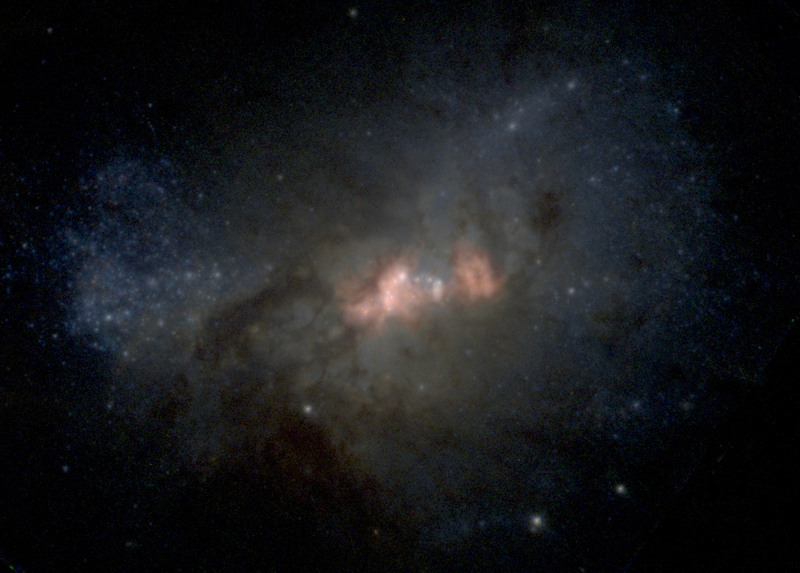 Hubble recently had its cameras upgraded, so my guess is they saw farther back in time than ever before. 1 in 5: In looking farther back, they may have discovered some new unexpected thing about the formation of galaxies. Already the telescope's been able to peer as far back as 400 million years after the Big Bang. It's entirely possible that if the Hubble looked that far back it would uncover something totally unexpected, maybe about how supermassive black holes form in conjunction with galaxies. 1 in 25: The Hubble was able to image a gamma-ray burst AS IT HAPPENED! 1 in 42: The answer to life, the universe and everything. 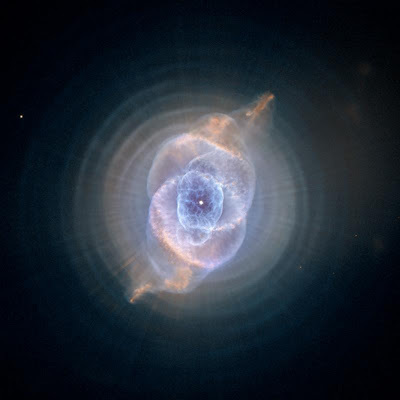 1 in 400: The cat's eye nebula is actually made of kitty cats! 1 in 6,000: Out of pure luck, a Higgs boson drifts in front of the lens of the Hubble. 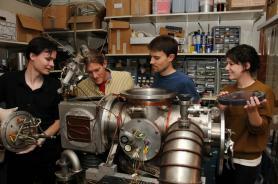 The team at NASA was able to identify it, beating the Large Hadron Collider to the punch. Take that CERN! 1 in 35,000: What was originally thought of as a planet orbiting a distant star turns out to be a giant black rectangular monolith. 1 in 456,000: Jefferson Starship. 1 in 2,970,000: A new constellation that unfortunately spells a dirty word. Because of FCC regulations, actual images of the constellation won't be permitted to be broadcast in the news, leaving the entire world to wonder what could possibly be up there. At the press conference, NASA will announce its first joint venture with the FCC to launch a gigantic geosynchronous satellite to block out the part of the sky where the offending constellation is located. 1 in 3,970,000: Basically the same as above, except the constellation spells out the secret ingredient of Coca-Cola, and they'll announce the first joint NASA / Coca-Cola mission to space to block it out. 1 in 200,000,000: Nothing but a sign that reads, "Ha ha! Made you look!" 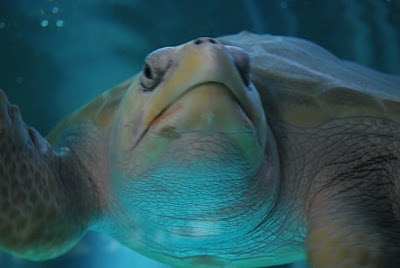 1 in 59,420,990,300: Turtles all the way down. 1 in 859,849,679,000,000: Testable evidence of string theory. Any other ideas? Post 'em! UPDATE: Yesterday NASA announced what the discovery was... AND I WAS RIGHT! Hubble set a new personal record for farthest away object seen; a galaxy 13.2 billion light years away, about 150 million light years farther away than its previous record. I don't know if all you PhysicsBuzz readers at home know this, but today's the 35th anniversary of the first flight of the Concorde. No, not the world famous folk duo from New Zealand; the fleet of supersonic commercial airplanes that crisscrossed the globe for 27 years. On January 21, 1976, the first paying passengers took a trip on a jet that could travel faster than the speed of sound from London England to Bahrain. 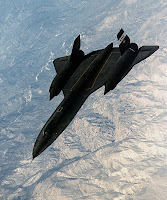 These planes were fast, traveling twice the speed of sound. A flight from New York to Paris would only take a Concorde about three and a half hours, a far cry from the typical eight hours it takes most jets. However there was a downside; the sonic booms that come with faster than sound travel. Because of these booms, the Concorde originally had trouble coming to the United States. 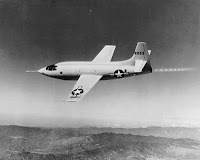 At first Congress banned them because of worries over sonic booms, and then once the national ban was lifted, individual airports like JFK in New York barred the sleek planes from landing. Though they sound dramatic, sonic booms aren't explosions. They are loud roars that objects make when a plane breakes the sound barrier. When an object moves through a fluid medium, like a plane flying through the air, it has to push that air out of the way. A normal plane would just push the air aside and fly through the space left. However a plane traveling faster than the speed of sound is moving faster than the air can move out of the way. Air pressure builds up along the wing because more air hits the wing than can slide out of the way, collecting into a cone of compressed air that protrudes out from the nose of the plane. If a person is standing on the ground and this front of changing air pressure rolls over them, they've got front row seats to a loud boom of the sonic variety. A sonic boom is really two noises. The first boom comes when the compressed air first rolls over the listener. The abrupt change from regular pressured air to high pressure is the first part of the rumble. As the plane flies by, the air pressure actually drops below normal. The second boom is air pressure snapping back to normal. The two booms sound like one, because they happen so close to each other. What does this sonic boom sound like? Believe it or not, you only have to go as far as the circus to find out. When a lion tamer cracks her whip, you're hearing a sonic boom. The end of the whip is moving faster than the speed of sound, and the crack it makes is its own sonic boom. had wings that stuck straight out. After more testing and different designs, airplane manufacturers found that having wings that sweep backwards lets the air dissipate the built up air pressure better, reducing drag letting the plane cut through the air faster. As for the fate of the fleet of Concords, they never really made much economic sense. There was never much demand for them because seats on board were tremendously expensive, in part because they were so costly to maintain. In July of 2000 a disastrous crash at an airport in Gonesse France killed 113 people, marking the beginning of the end of the Concords. 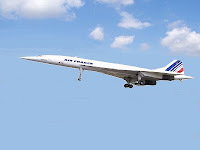 The final flight of a Concorde took place on November 26, 2003 from Heathrow Airport to Bristol. Concords now roost only in aviation museums like the Smithsonian's Steven F. Udvar-Hazy Center in Virginia. The force that governs some of the reactions that keep our sun shining is not quite as weak as scientists had previously thought. As a consequence, our estimation of how energetic the sun actually is just went up by a tiny amount. The evidence for this weak nuclear force comes from the decay of muons, essentially heavier cousins of the electron, one of the building blocks of atoms. Just as biologists sometimes study the tiniest and most ephemeral of organisms such as fruit flies, which live for barely a day, to learn things about human disease, so physicists often study the properties of particles that last a fraction of a second to learn about the universe. The muon lives only about 2 millionths of a second -- 2 microseconds -- far from the realm of human sensation but long enough for scientists to make detailed measurements. The state of digital electronics is so advanced that measurements far shorter than this, even down to trillionths of a second or less, can easily be made. Watching muons decay is not like propping up a Geiger counter next to a box full of radioactive uranium. That's because muons are so short lived they have to be made anew, as if they were medical isotopes. At the Paul Scherrer Institute in Switzerland a dedicated proton beam was used to create muons amid collisions with a graphite target. Researchers then gathered a fine spray of muons, directed them and stopped them in their own metal target which was surrounded by a detector that could track the muons' demise. The decay of over 2 trillion muons provided the best yet value for the average muon lifetime. It comes out to 2.1969803 microseconds. "This is the most precise lifetime determination of any state in the atomic or subatomic world," said David Hertzog, one of the leaders of the experiment and a professor at the University of Washington in Seattle. This lifetime, known to an uncertainty of one part per million, is so precise that it can be used to make a new determination of the intrinsic strength of the weak nuclear force, which operates over only a very short range inside the nucleus of atoms. Scientists know of four physical forces. Gravity, a form of mutual attraction, keeps the Earth going around the sun and keeps us from floating into space. The electromagnetic force is responsible for holding atoms together, for bonding atoms into molecules, for impelling the movement of electrons through wires in the form of electricity, and for light waves. The strong nuclear force holds nuclei together and is responsible for some kinds of radioactivity. The weak nuclear force, the fourth and last force to be discovered by physicists in the twentieth century, helps to turn protons into neutrons inside the sun, a necessary step in converting those protons into heavier elements like helium and releasing the radiant energy that makes its way to Earth. The weak force also acted billions of years ago inside exploding stars known as supernovas to make the elements such as oxygen and carbon found in our own bodies and other natural things on Earth. The strength of the weak force is encapsulated in a number called the Fermi constant, named for the Italian-American scientist Enrico Fermi. Hertzog said that the new value for the Fermi constant is about 0.00075 percent greater than the previous value. Thus the weak force is just a tiny bit stronger than we thought. William Marciano, a scientist at the Brookhaven National Laboratory on Long Island, N.Y. was impressed by the muon experiment. "It was a difficult but beautiful measurement carried out by a very experienced and talented group of researchers," Marciano said. Marciano also points out that muons, short lived as they might be, are interesting in their own right, and actually practical. Muons were used to study the pyramids in Egypt. Muons can be created in the atmosphere by incoming cosmic rays, mysterious streams of particles from deep space. Because these muons can penetrate great amounts of material without stopping, even during their short lives, they were used as a sort of "medical scanner" for probing for hidden cavities inside the pyramid by setting up detectors above and in the basement. Marciano said that muons might also be useful for medical imaging and for scanning cargo containers for hidden nuclear materials. Another expert on the weak force, University of Wisconsin professor Michael Ramsey-Musolf, considers the muon experiment to be a tour-de-force piece of work. The important thing for him is that the uncertainty of the muon lifetime has now dropped by a factor of ten. But he also said that a more precise lifetime and a more precise knowledge of the strength of the weak nuclear force tells us just a bit more about nature. 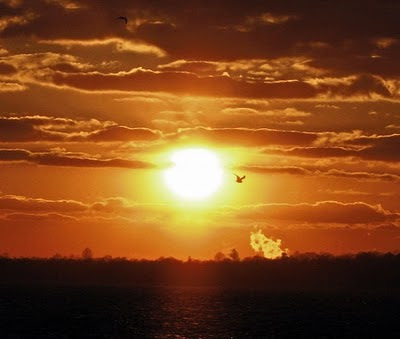 "This implies that the sun does indeed burn more brightly and that the decay of nuclei is somewhat faster," Ramsey-Musolf said. The new muon results are scheduled to be published in the journal Physical Review Letters. Happy Hump day from Physics Buzz! A new image taken by NASA's airborne telescope gives astronomers another look at the star centered in Orion's sword. 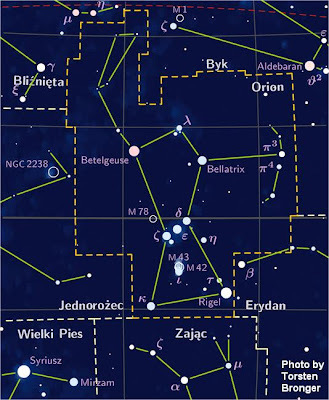 Astronomers already have visible and near-infrared images of the Orion Nebula - the area in the middle of the sword "hanging" from the belt in the constellation Orion. Now, they have a new look at the region: Mid-infrared. The mid-infrared images show details that are undetectable in the near-infrared and visible images. The new image is significant because some mid-infrared wavelengths, like those dyed red in the image at right above (representing 37.1 microns, for those interested) can't be seen from an Earth-based telescope nor from any of today's space telescopes. The image comes from a new flying telescope that's mounted in the rear of a Boeing 747 called the Stratospheric Observatory for Infrared Astronomy (SOFIA). The joint observatory project between the United States and Germany is studying the development of galaxies and how stars and planetary systems form and evolve. SOFIA just went operational a few months ago and this new mosaic was created from photos taken in December. 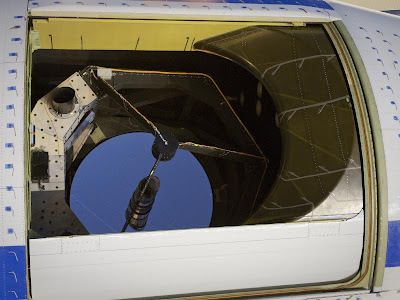 The observatory flies to high altitudes of around 40,000 ft. where the atmosphere is far thinner than on the surface. Below this height, water vapor in the air blocks much of the infrared radiation coming through the atmosphere, making it invisible to telescopes on Earth. 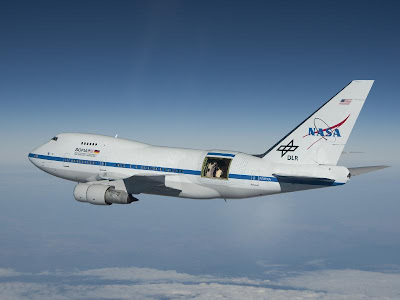 SOFIA allows astronomers to see mid-infrared radiation coming in from space. Near-infrared radiation, whose wavelengths are seen using night-vision goggles, is closest to visible light on the electromagnetic spectrum. Mid-infrared, as you would have guessed, is in the middle of the infrared part of the spectrum, closer to microwaves than to visible light. Nebulas are gas clouds where stars form. 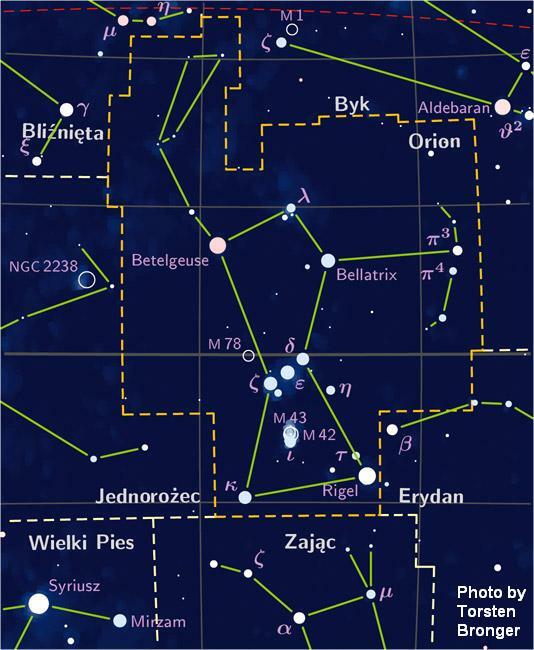 Scientists study the Orion nebula since it is one of the closest nebulas to Earth. Being able to see different wavelengths of radiation - like mid-infrared light - gives scientists a more thorough picture of what they are looking at. SOFIA gives them more pieces of the nebula puzzle. For more about the new image at top, read the SOFIA press release. For more about the SOFIA mission, check out the German SOFIA website. Stephen Hawking is generally considered to be one of the greatest physicists of our time. He is often compared to great historical physicists like Albert Einstein and Sir Isaac Newton, though he denies he belongs in such a prestigious group. To complete the Hawking Mad Lib below, first, print out a copy of this post by going to File -> Print in your browser menu. (Or copy and paste the contents into a Word document and print from there.) Then, fill in the blanks at the top of the post with the appropriate parts of speech. Next, fill in the numbered blanks in the story with the words from the list at the top. Read out loud with friends and enjoy! Stephen Hawking is a (1) _______________ British physicist who helped flesh out the Big Bang theory and explain the anatomy of a black hole. He was born on Jan. 8, 1942 - exactly 300 (2) _______________ after the death of Galileo. 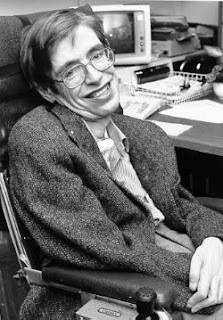 Hawking is a relative cosmologist - a person who studies the Universe using (3) _______________ Einstein's (4) _______________ theory of relativity. In 1962, just before starting graduate school at the University of Cambridge, Hawking discovered he had an incurable and fatal disease called amyotrophic lateral sclerosis or ALS, also known as Lou Gehrig's disease. Doctors gave him only two years to (5) _______________. But Hawking overcame the odds, earned his PhD, got married, started a family and rose to fame as one of the greatest (6) _______________ of our time. One of Hawking's most (7) _______________ theories is that black holes aren't really black. Hawking predicted that black holes emit radiation, challenging the (8) _______________ idea that nothing could escape the gravitational pull of a black hole. Thanks to Hawking Radiation (named for the man who predicted its existence), physicists now believe that black (9) _______________ will eventually radiate away all of their mass and disappear. Despite not having the ability to speak or (10) _______________, Hawking is a (11) _______________ author who has published a handful of books like A Brief History of (12) _______________ and The Universe in a (13) _______________. Hawking retired as the Lucasian Professor of Mathematics at Cambridge in 2009. He has twelve honorary degrees and was awarded the (14) _______________ Medal of Freedom - the United State's (15) _______________ honor - by U.S. President Barack Obama that same year. 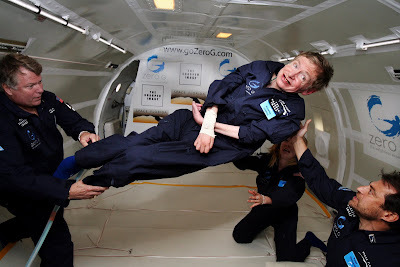 In 2007, Hawking became the first quadriplegic to experience zero-gravity when he (16) _______________ in a Vomit Comet. When asked why he went on the (17) _______________, Hawking said that he wanted to encourage public interest in space and also that he was training to (18) _______________ to space on a Virgin Galactic suborbital flight. Though he is interested in riding into space, Hawking's take on manned space exploration can be a little (19) _______________. In 2004, a New York Times Magazine interviewer named (20) _______________ asked Hawking, "What do you think of President Bush's plan to get [humans] to Mars in 10 years?" Hawking's answer: "Stupid. Robots would do a better job and be much cheaper because you don't have to bring them back." To learn more about Stephen Hawking, visit his website. For more Physics Buzz Mad Lib fun, check out our Tesla Mad Lib! 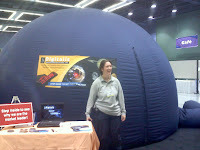 There is no way one could be lost in space at the 217th American Astronomical Society (AAS) Meeting this week, held in Seattle, WA. Although thousands of people attended, there was still plenty of opportunity to cull through the particulates and learn about the hottest cosmological discoveries on Earth. --The discovery of the smallest planet known outside our solar system, Kepler-10b, was confirmed by NASA. The rocky exo-planet was found by the Kepler spacecraft and orbits the star known as Kepler-10, the first star identified “that could potentially harbor a small transiting planet”. The planet is 1.4 times the size of our blue marble, but is not in the so-called “habitable zone” of its star – in fact its orbit, which is .84 days, puts Kepler 10-b more than 20 times closer to its star than Mercury is to our sun, so there ain’t going to be any green martians (or should I say keplerians?) on that rock, unless perhaps they eat arsenic, and even then, that’s pushin’ it. --With the detection of a supermassive black hole in a dwarf galaxy, scientists believe this may signify that these super scary monstrosities formed before galaxies. 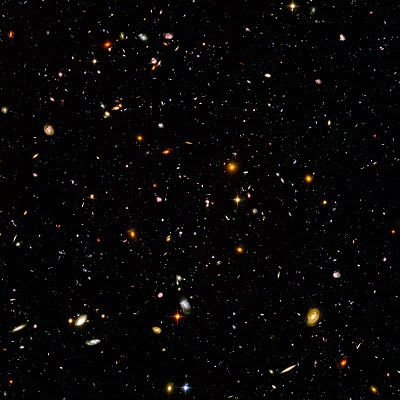 According to a press release from the National Radio Astronomy Observatory (which by the way, hosted a town hall at AAS), the galaxy, known as Henize 2-10, is 30 million light years from Earth and has an irregular shape that is similar to that of what many astronomers posit might be the very first galaxies to form in the early Universe. --And of course, I would be remiss if I didn’t report that just when you thought that children’s birthday parties were not over the top enough, what with jumping castles, petting zoos, and custom-made cupcakes, now there’s a new way to alleviate that bulge in your wallet. 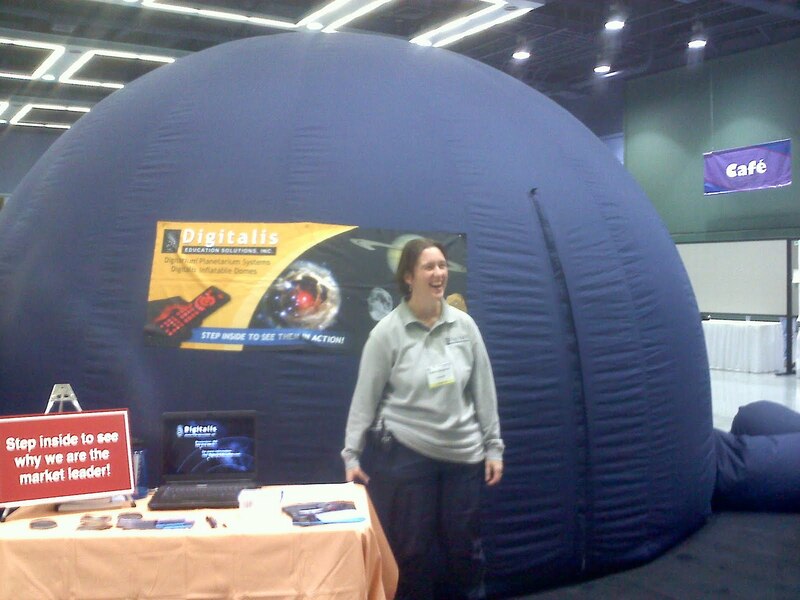 As demonstrated at the AAS Conference, you can excite your child’s intellectual curiosity while demonstrating to the other parents on the block that you are, well, a better parent, by taking advantage of a mobile, inflatable planetarium. Can anyone contact the Real Housewives of Beverly Hills and let them know? Researchers are working to improve the grip of robotic hands through design inspiration taken from cockroach legs. No one thinks twice about picking up a cup of coffee, but this task has vexed robots for three decades. A new type of mechanical hand developed by researchers at Harvard and Yale promises to solve this problem. In a makeover inspired by cockroach legs, the engineers chose not to make their robotic hand smarter, but to redesign its form to suit a dumb robot. "People have been trying to build robotic hands for 20 or 30 years, but those hands have rarely been able to perform dexterous tasks," explained Robert D. Howe, who heads Harvard's BioRobotics Laboratory. Howe worked with Aaron Dollar, a former graduate student and now an assistant professor of engineering at Yale, to develop the new hand. In the real world, Howe explained, both robots and humans have trouble estimating the relationship between their hand and the object they want to grasp. Humans compensate for errors by opening their hands and making their fingers soft and flexible, so they can glide along an object's edge before wrapping around it to pick it up. "The traditional approach in robotics research is to deal with errors using elaborate sensors, motors, and controls," Howe explained. The resulting mechanical hands were very complex and expensive. 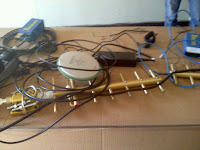 They were also slow, since they required lots of computing power to perform even the simplest tasks. Consider a robotic hand trying to pick up a wine glass. Unless it moved at glacially slow speeds, it might knock over the goblet before it could react to sensor signal that it had made contact. "We took the opposite approach and tried to understand the fundamental mechanics using good mechanical design practices," Dollar said. Their goal was to reinvent the mechanical hand so that it automatically compensated for errors and adapted to grasp a variety of shapes. Surprisingly, Howe said, their inspiration came from cockroach legs. Starting in the late 1980's, University of California, Berkeley professor Robert Full began investigating how cockroaches could walk and run over uneven surfaces. Cockroaches have miniscule brains, so Full knew that they could not possibly be computing their movements so quickly. Full analyzed the mechanics of cockroach legs to see how they worked. It turns out that their legs are flexible and springy. This lets them adjust to uneven surfaces automatically, without thinking. Full created robotic legs that duplicated these properties using springs and hinges and built an eight-legged robot that could run over uneven ground at breakneck speeds, something no robot had ever done before. Full's demonstration startled roboticists, and Dollar and Howe decided to take a similar approach to building a hand. If they could get the springs and finger shapes and sizes just right, the hand would be flexible enough to glide along objects until it wrapped around them, just like a human hand lifting a coffee cup. First, Dollar and Howe stripped the hand down to its essentials: a claw of two doubled-jointed plastic fingers with a single motor controlling them by cables and pulleys. 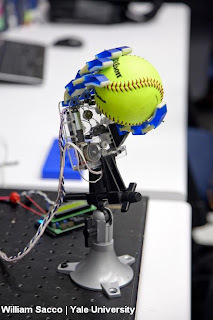 Dollar then built a mathematical model to simulate how the hand would react to various shapes and sizes at different levels of springiness and flexibility. Dollar eventually added another set of fingers for a surer grip. Despite its four-fingered form, the resulting hand has several human characteristics. At rest, its joints are opened from 25 to 45 degrees, and the joints at the base (our palm) are more flexible than the joints of the fingers. Dollar also added sensors to detect when a finger touches an object and the angle of the joints. While the hand automatically adjusts for many small errors, the sensors enable it to compensate for larger miscues. The result is a very simple hand that can grasp a wide range of objects. It could become a platform for future household and service robots, where the ability to grasp different objects is important. Dollar is also pursuing prosthetic hands. Each finger weighs under 1.5 ounces, which is an advantage because many amputees abandon mechanical devices because of their weight. The hand cannot grasp and manipulate small objects, such as keys or forks. Such dexterity will require additional motors, which would increase the hand's weight and complexity. Dollar is also looking at a new configuration with an opposable thumb. For three decades, researcher sought to make hands better by making them more complex. By embracing the simplicity of nature-based design, Dollar and Howe have given roboticists a new grip on building mechanical hands. There is still much work to do. We at PhysicsBuzz and Physics Central were very saddened to hear about the recent shooting in Arizona which took the lives of six people and injured another fourteen people including U.S. Representative Gabrielle Giffords, wife of space shuttle commander Mark E. Kelly. We wish Rep. Giffords and the others injured a full recovery and our thoughts go out to the families and friends of all the victims of this tragedy. Apparently, March 14 isn't very important after all. It's a new political season on Capitol Hill, only a few miles down the road from the American Physical Society headquarters. Our nearness to the political machinery in this country doesn't usually affect us much here. But the enthusiasm of the incoming 112th Congressional class has touched us just a bit this time around. It seems that the newly installed Speaker of the House, John Boehner, has decided that the Congress wastes too much time on commemorative bills, like the ones congratulating little league teams for winning their playoffs, or bills establishing national potato week. Now that sounds fine to me - I'd rather our lawmakers make laws than produce useless bills. But when I first heard about the change on NPR, reporter Andrea Seabrook specifically called out National Pi Day (March 14, or 3.14) as being an example of time-wasting legislation. It's hard to imagine that it's any better than any other silly commemorative act, but it doesn't sound any worse. And, of course, explaining it to someone may help brush up a bit of their math knowledge, which seems like a good thing. Also, March 14 happens to be Einstein's birthday. Don't get me wrong, I am totally on board with Speaker Boehner's decision on this. Although, I'll be a bit surprised if all those commemorative bills don't start creeping back in to Congress over the next few years. When it comes down to it, I just happen to think it's cool that National Pi Day got a special shout-out in a news story about how Congress is putting an end to shout-outs. 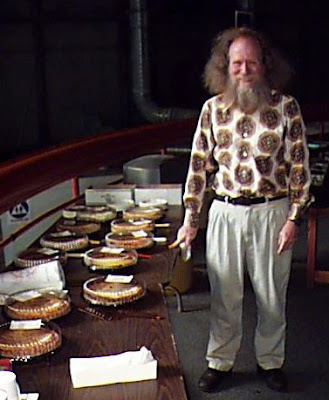 Pi Day FTW! Ever heard of Vi Hart, the Mathemusician? She's got a pretty fascinating YouTube channel and a interesting blog about - you guessed it - music and math. A Möbius strip is a surface with only one edge and one side though at first glance it looks like it has two of each. If an ant were crawling on the strip, it would eventually walk the length of the strip, both "top" and "bottom" without ever leaving the strip. To see what I'm talking about, take a strip of paper about 8 inches long and an inch wide. Imagine the back side of the paper is gray and the front is white. Tape the two ends of the strip together as though you were making a loop except twist one end so that you are taping the gray side onto the white side. Now you have your own Möbius strip. As you can see in the video, if you draw a line down the middle of your Möbius strip, it will eventually return to where it started without you ever having to lift your pen - just like the ant. Möbius strip are found everywhere, in art, on recycling bins, and wearable art like scarves and rings. In the 1950s, the B.F. Goodrich Company created a conveyor belt using a Möbius strip that was said to reduce overall wear on the belt. Now that you've seen my Möbius strip, I'd love to see yours. Already have one drawn? Send it to us! If not, take some free time this weekend and draw or make a Möbius strip out of paper, ribbon or whatever else you can think of. Then, take a picture or scan your drawing and send it to us at physicscentral@aps.org. I'll post whatever Möbius strips I receive in next Friday's blog post so send them in for the world to see! Look out your window at the icicles beginning to grow on the edges of roofs and car bumpers, and you might think that all icicles are shaped the same -- long, straight and pointy. 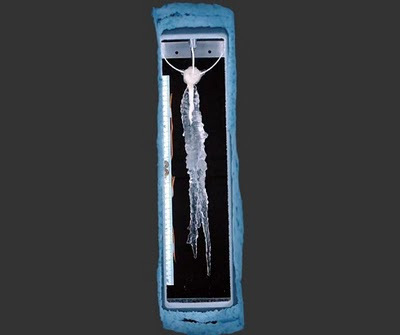 But Canadian scientists have found that subtle differences in wind and water can produce icicles with strange shapes. Using an indoor icicle-making machine, the researchers have challenged a mathematical theory claiming that all icicles tend to grow towards the idealized cone-like shape they have in cartoons. "The ideal icicle, the mathematically-minimum icicle, is elegant and beautiful," said icicle grower Stephen Morris, a physicist at the University of Toronto. "But the reality has turned out to be much more complicated." An icicle grows because it is wet. As water runs down the surface of an icicle in a thin film, some freezes in the cold air, and the rest drips off the tip -- which isn't actually pointy but, under a magnifying glass, concave like an upside-down cup. 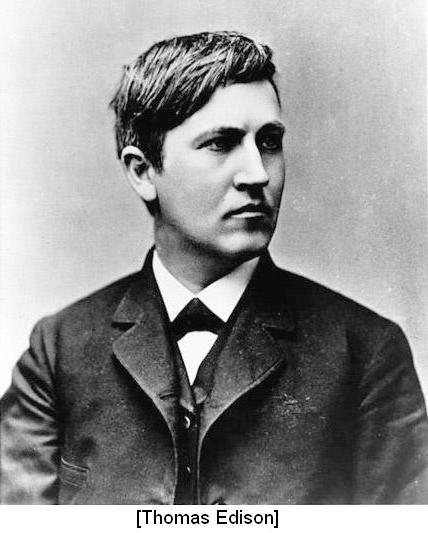 At the University of Arizona, Tucson, physicist Martin Short claimed last year that all icicles tend to grow towards an ideal shape and provided the physics rules needed to explain this shape. Having grown up in the Southwest United States, Short has seen few icicles in his everyday life. He was inspired to study the winter phenomena after years of visiting Arizona caves and studying stalactites, which are also created by dripping water and grow downwards. "I found that you could predict the ideal shape of stalactites," said Short. "We decided to study the shape of icicles based on the shape of stalactites." The secret to the icicle's long and pointy form, he suggests, is the air around it. As dripping water freezes on the surface of an icicle, it releases heat into its surroundings. In still air, this warm air should rise, forming a blanket around the icicle. The tip stays colder than the base, keeping the top from growing wider as the wet tip freezes and elongates. This effect, according to Short's calculations, should guide icicles towards a shape that tapers from wide to narrow according to a specific mathematic function. "Most icicles should have this shape," said Short. "They want to have this specific (cone-like) form." But Morris wasn't convinced by the seven photographs of icicles Short looked at to test this theory. "We wanted to drive around and collect 100 icicles from roofs (to test the theory)," he said. "But that turns out to be not that easy to do." Instead, he and Antony Szu-Han Chen built a device to grow 93 icicles under a variety of different conditions and different water sources. At the top of the device, a nozzle sprinkled water onto a growing icicle hanging from a platform that rotated rotisserie-style. The rotation, too slow to affect the shape of the icicle, helped to expose all sides of the growing icicle equally to a fan's cold breeze. "It's like meat on a spit at a barbecue," said Morris. "We rotate it (one revolution every four minutes) to give the same treatment to all sides." When fed by pure distilled water, the foot-and-a-half long icicles often formed points that resembled Short's predictions. But the icicles were most cone-like not when the air was still, as theory predicted, but when the air was moving. In still air, the icicle often grew legs, forking into multiple tips. The type of water also affected the shape. Icicles grown from tap water tended to bend and bulge. Explaining this may require a closer look at these icicles, said Kazuto Ueno of the University of Quebec in Chicoutimi. Instead of studying the overall shape of icicles, Ueno focuses on how the thin film of water freezes on the surface of an icicle. He hopes to inspire better ways to combat icing problems on power lines and aircraft wings. The surface of an icicle isn't always smooth. It's often covered with tiny ring-like ripples. In 2003 Ueno discovered that these ripples are always spaced the same distance apart. "The distance between two peaks of ripples always measures around a centimeter scale, which is almost independent of air temperature, water flow rate and airflow," said Ueno, who developed a theory to explain this based on the surface tension of the water. In Morris' experiments, published online to arxiv.org, these ripples appear to crawl up the sides of growing icicles as new ice is added. This was predicted by Ueno's theory, but the ripples, like the overall shape, are still not completely understood. By putting theories to the test, the icicle-making machine may have raised more questions than it answered. But that's all part of the scientific process for Morris, who has spent a career exposing the complexity of objects in nature -- from sand dunes to turbulent water. "Some say you can see the world in a grain of sand," said Morris, quoting British poet William Blake. "I can also see it in an icicle." Zadar, Croatia, is home to one of the most unique and beautiful displays of art in harmony with science and nature in the world. Two light and sound installations fueled by the elements attract visitors from around the world to this sensory-enticing spot on the Adriatic Sea. Zadar is a Mediterranean city whose history stretches back almost 3,000 years. Visitors to the old city can tour an intact 9th century church and sit to enjoy ice cream among Roman ruins that date back to the city's early days. What draws tourists and locals alike to the northwestern-most point on the old city's peninsula isn't hundreds or thousands of years old, though. It isn't even decades old. It's two art installations completed only a few years ago. The first is the Morske Orgulje, or Sea Organ, which plays music using waves coming from the sea. The 230 foot (70 meter) long organ was built to replace the end of a bland concrete wall built during post-World War II reconstruction. Thirty-five organ pipes are embedded in concrete under a series of marble steps that cascade into the sea. When waves crash against the steps, water fills the pipes under the marble, compressing the air in a chamber beneath the steps. The compression and decompression (after a wave recedes) of the air powers the organ. Each pipe's length was carefully chosen so that the seaside music is always in harmony. Embedded in the sidewalk near the organ is the Pozdrav Suncu, or Greetings to the Sun, light installation. During the day, the 77 foot (22 meter) diameter circle is a gigantic array of solar panels. By night, the disc is a soothing, psychedelic sidewalk light show. The circular light display represents the Sun and several other smaller discs embedded in the sidewalk nearby represent planets in our solar system. Both installations were engineered by Croatian architect Nikola Bašić and the organ won the European Prize for Urban Public Space in 2006. For more about the organ's construction, click here. Using little more than a take-out container, an iPhone and an HD video camera, Luke Geissbuhler and his seven-year-old son, Max, made the science fair project of a lifetime. The Geissbuhlers tucked the electronics (along with some hand warmers to keep them from freezing) into a Styrofoam vessel and launched it into space using a weather balloon. The 102-minute journey was recorded by the video camera and tracked via a GPS signal emitted by the iPhone. The Geissbuhlers spent months doing research and testing their craft before an ideal launch day in August presented itself. With the weather just right, the father-son duo, along with some friends, drove to Newburgh, N.Y., where they launched their balloon. The balloon rose at a rate of 25 feet per second. As it ascended the decrease in atmospheric pressure around the balloon caused it to expand. 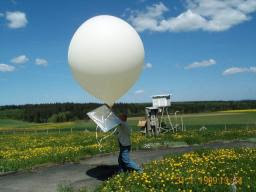 Weather balloons released by the National Weather Service start out at an inflated diameter of about six feet. They swell to a diameter of 20 to 25 feet before bursting at an altitude of around 115,000 feet where the air temperature is as cold as -130 degrees Fahrenheit and the atmospheric pressure is about one hundredth what it is at sea level. As it rises, the hydrogen or helium gas inside the balloon presses against its flexible walls until it can inflate no more and ruptures. The Geissbuhlers' balloon reached 100,000 feet before it burst. A homemade parachute slowed the craft's descent, but it still fell at 150 mph. Despite encountering wind speeds of over 100 mph during its flight, the take-out container landed only 30 miles from its starting point and was recovered by the Geissbuhlers. Though the camera clearly recorded the curvature of the Earth and black space above, the vessel didn't technically reach space. Reaching an altitude of 19 miles, the iPhone and camera were still 31 miles short of receiving their astronaut wings which the U.S. hands out to those who have flown higher than 50 miles. The Federation Aeronautique Internationale (The World Air Sports Federation), however, defines the threshold of space as an even higher altitude of 62 miles which they call the Karman Line. And NASA considers re-entry to occur at 76 miles, when the first effects of atmospheric drag are felt. Even so, it's not your every day party balloon set free that makes this kind of odyssey happen. And that's what makes this so cool. It's just a father-son team doing science and getting some pretty awesome results. Fair warning, though: If you're thinking about trying it for yourself, don't run out and launch the first weather balloon you can find unless you're prepared for a little visit from the Federal Aviation Administration. Instead, order a copy of the Geissbuhlers' how-to book, which they plan to publish soon, and do it the right way. No scrambling of fighter jets or jail time necessary.